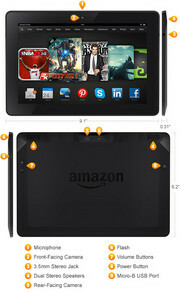 The Kindle Fire HDX comes in two sizes; 7” and the 8.9”. The Kindle Fire HDX 8.9” has a much wider screen than most tablets however is surprisingly thin. It is only 7.8 mm thin and 374 g light. Despite it being wide and light, it does not feel flimsy at all, due to the magnesium chassis. 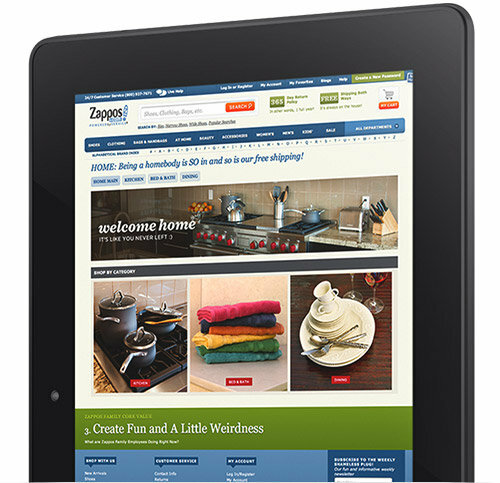 Additionally, the tablet is known to be very well balanced, making it suitable for long period usage. The buttons are also well positioned within the device, which may seem like a trivial matter, but can really be very convenient and comfortable. For example, the controls for volume and power can be reached with ease while watching a video. The display is also noteworthy with its 2560 by 1600 pixel resolution and 339 ppi taking graphics to a whole new level. 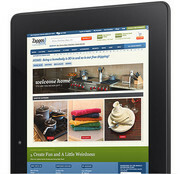 It is ideal for reading, with its easy to handle design and crystal clear quality display. 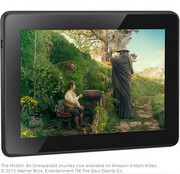 Watching movies on the Kindle Fire is also enjoyable with its HD display coupled with its comfortable design. Kindle Fire comes with a 2.2 Ghz quad-core Snapdragon 800 processor, one of the better processors out there for tablets. It also comes coupled with 2 GB of RAM so multi-tasking is very smooth. 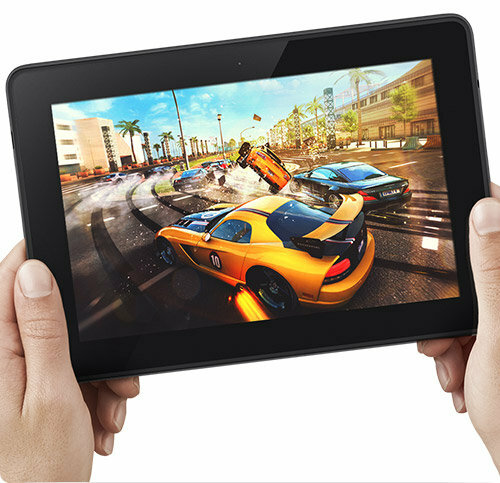 The tablet has two cameras. The one at the front has 720p HD quality while the one at the back is an 8MP 1080p full-HD camera. 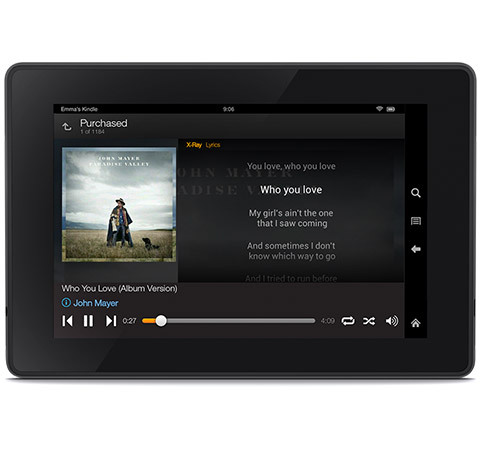 In a nutshell, the Kindle Fire HDX 8.9” is a great phone, if you use Amazon a lot. 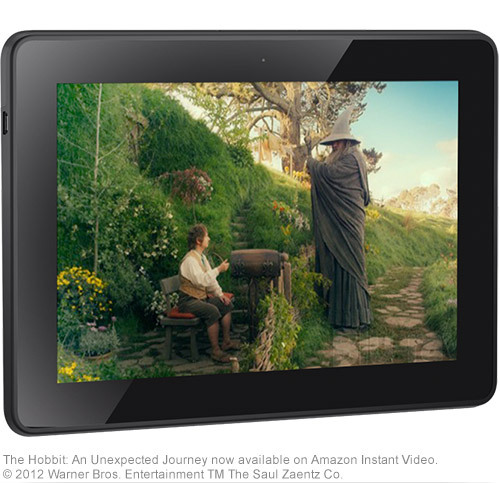 Vivid Amazon users will have no issues with this tablet, however those depending on Google apps may not be able to fully utilize this tablet. 83.24%: This rating should be considered to be average. This is because the proportion of notebooks which have a higher rating is approximately equal to the proportion which have a lower rating.